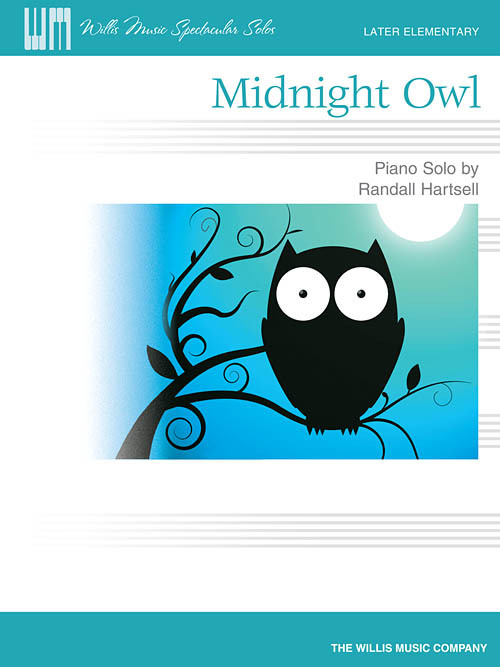 Hartsell's “Midnight Owl” imagines an enchanting bird who likes to swing dance in the middle of the night. The catchy melody takes place mostly in the bass clef, which may help strengthen a weak left hand. The I-IV-I-V7-I progression in A Minor is also introduced.